What will you keep in your Mainus Construction shed? Mainus Construction builds the best storage sheds in Milwaukee. We custom design and build completely unique sheds, limited only by your imagination. We’ll deliver your storage shed pre-built to any architectural style, for any function, with any additions you want. We have built everything from traditional storage sheds to racing pigeon lofts. You will have a fully customized shed when it leaves our shop. From custom shelves to electric lights and a working bathroom – you dream, we deliver. 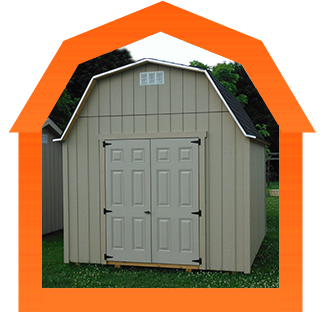 We build and deliver small sheds and large sheds in WI & IL. Sizes run from 8x10 all the way to 12x20, truck-delivered and installed in 1-2 hours. 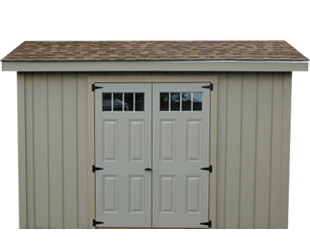 Classic gable roof storage sheds mirror the most common architectural style found in Wisconsin homes. This similarity makes our gable roof backyard sheds perfect for placement right alongside your house. Your garden storage shed will look like a small addition to your house with a matching gable roof. Mainus Construction can customize your outdoor shed’s height, roof slope, shingles, overhang and colors flawlessly matching any look and function imaginable. What will you keep in your Mainus Construction shed? Quaker garden sheds radiate a distinct rustic Quaker style while serving as convenient and functional storage for your outdoor equipment. These attractive garden sheds feature roofs with offset peaks and low reaching rear edges. Mainus Construction delivers a full range of customization options, building anything from a simple utility shed to a beautiful pool house. Barn style storage sheds feature wide gambrel roofs to get the most loft space for your dollar. 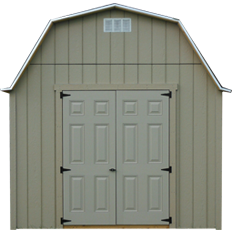 Barn roof sheds from Mainus construction are available in any size from 8x8 to 12x20, functioning as versatile outbuildings for your home or farm. 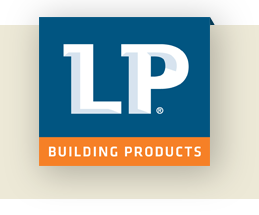 We will completely customize any barn at your request, adding everything from insulation and plumbing to shelves and lighting. You won’t have to call a second company to get something installed on your shed. 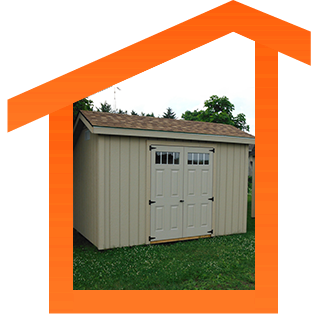 Mainus Construction has you covered with every aspect of your storage shed needs. With Mainus Construction, you can receive a fully custom shed based on your exact specifications. No matter how you plan to use your shed, our custom features will make it perfectly suited to your needs. 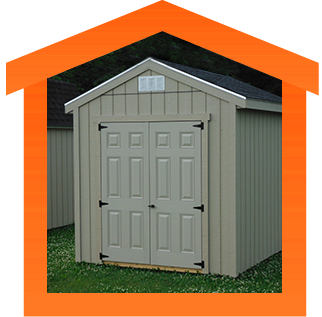 We offer large and oversized custom sheds to our customers. Sheds measuring more than 12x20 are no problem for our expert team of builders. 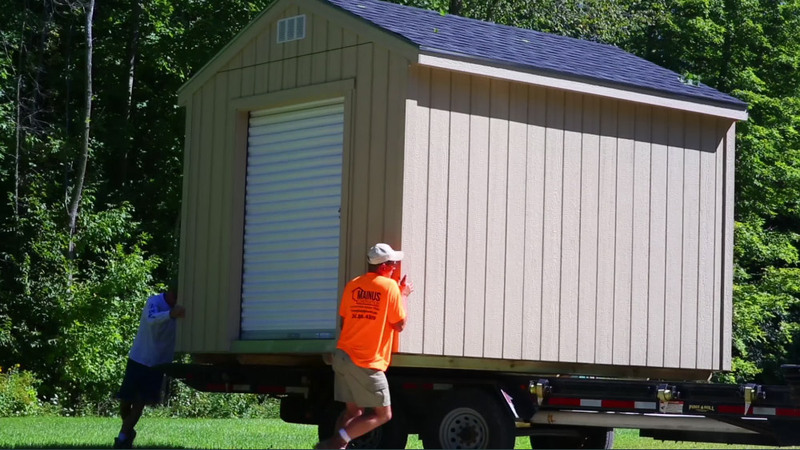 You can order an extra-large shed, even if your location is too tight to truck it in whole. Mainus Construction will bring all the materials and build on-site. Once construction or delivery is complete, we will shim the shed for perfect leveling. Sheds do not have to be permanently assigned to a certain part of your yard or lot. Once your storage shed is in place, our team will check over the windows and doors to ensure they work. After the inspection, your shed will be ready to use once again. You do not have to have a Mainus Construction shed to use our shed moving service. We have moved sheds from one side of a yard to the other while others have traveled across Wisconsin and Illinois to their new destinations. 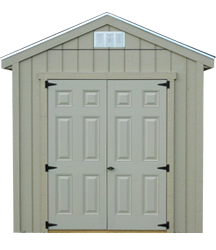 Contact the Milwaukee shed builders at Mainus Construction for spacious and reliable equipment storage.